There’s a thin line when it comes to differentiating between activewear and athleisure. The former can be summed up as clothing you wear to the gym, while the latter is best described as casual streetwear pieces inspired by sporty design. But the truth is, some of our favorite pieces fall into both camps. Which is great, because we’re all about double-duty functionality. In that spirit, we’re sharing a few style tips on how to strategically transition your favorite pieces from a workout to a hangout. Workout: Headed to barre class? This cropped top paired with a sports bra underneath will help keep you cool and comfortable. Finish the look off with tapered leggings for a sporty edge. Hangout: Crop tops and high-waisted jeans are essentially a match made in fashion heaven. 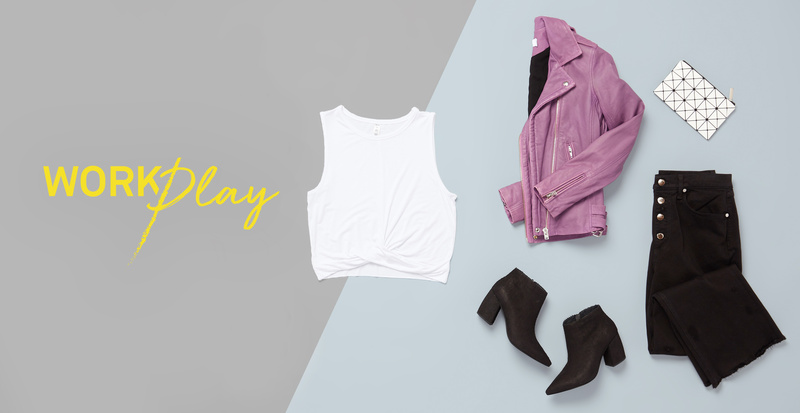 Add a bold jacket and chic booties for an outfit that is perfect for a day out with the girls. Workout: A cute outfit makes exercising so much more enjoyable. We’ve already learned that it’s all about that high rise for a spin class—so look for a matching sports bra and top to create a coordinated ensemble. Hangout: Some days you just need to sit back, relax, and binge-watch your favorite shows on Netflix. For those days, a cozy sweatshirt and cushy slippers are ideal. 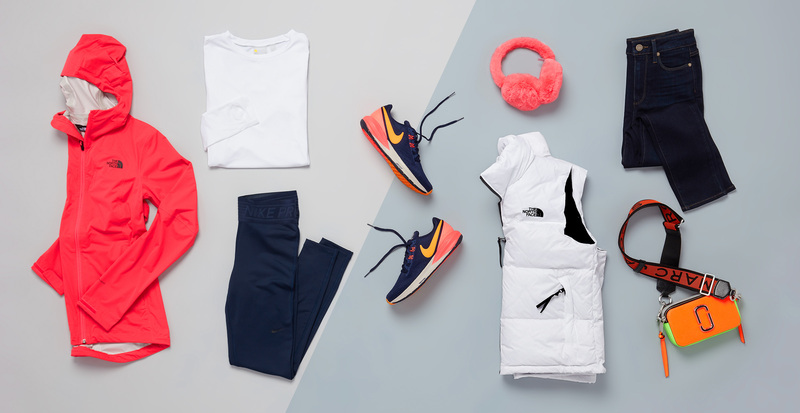 Workout: Bright colors are essential for safely running the streets. But they’re a pretty stylish way to level-up your performance gear, too. Start with some eye-catching kicks, then match them to an equally bold, weather-resistant jacket. Hangout: Give your vibrant shoes a street-style kick with a pair of dark-wash skinny jeans, neutral layers (hey, lugging groceries can work up a sweat, too), and attention-grabbing accessories.